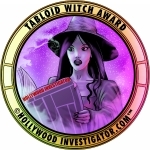 [HollywoodInvestigator.com] Are progressives changing their view on the wars in Iraq and Afghanistan? Until recently, I saw some reluctance among liberals to criticize Obama's foreign policies. 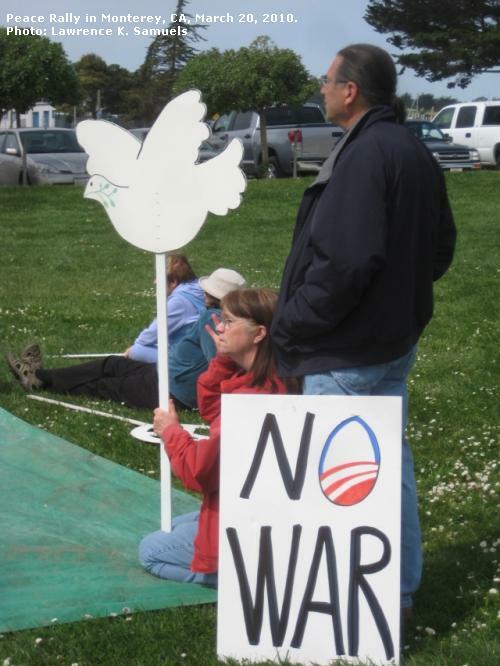 During one antiwar rally in 2009, we were asked not to display any "Obama-bashing" protest signs, although everyone there was deeply opposed the wars in Iraq and Afghanistan. 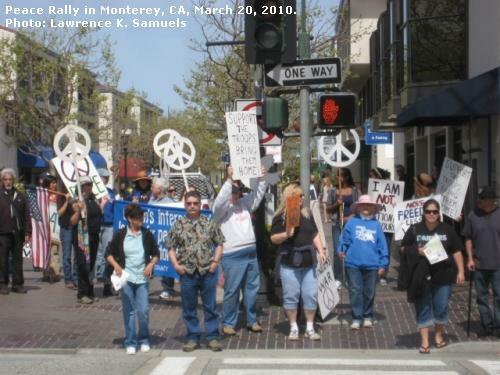 This attitude began to change when we planned a March 20, 2010 Peace Rally in Monterey. This protest was held to commemorate the seventh anniversary of the U.S. led invasion of Iraq. I had volunteered to organize the protest for the local Peace Coalition (comprising 23 member organizations). The event turned out well. Our keynote speakers were liberal Bill Monning, the California Assembly member from the 27th district, and libertarian David Henderson, professor of economics at the Naval Postgraduate School. Both were crowd pleasers. 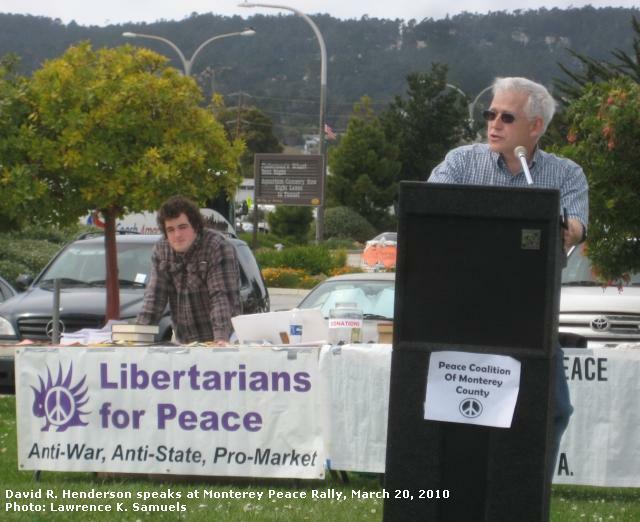 Despite these antiwar progressives, a problem arose when I went on a radio show to promote the Peace Rally. 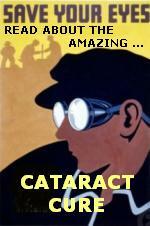 For years, I had been a monthly guest on KRXA, a progressive radio station, to discuss war, libertarianism, and liberty. 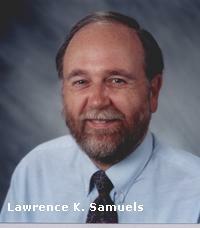 A former affiliate of Air America Radio, KRXA 540 AM has always been supportive of antiwar views and activities. This time I got a shock. During the show, host and co-owner Hal Ginsberg began to wonder if the Iraq War might now be justified. His point was: If Iraq begins to act like a democratic nation in the next few years, then maybe President Bush might have been right to invade the nation. This thinking was also expressed in a recent New York Times editorial. After explaining his position more, Ginsberg asked me what I thought. I said it does not matter if democracy sprouts roots in Iraq. We cannot force democracy or freedom on people in any country. As a libertarian, I recognize no higher value than individual liberty. But under the non-aggression principle, I oppose coercion -- even to impose something I value highly. Non-aggression is the essence of liberty. It would be hypocritical to use military force and government edicts supposedly to make people free. Only people have rights, not governments. I observed that in Iraq's 5,000-year history, the people have never had a culture that supported a decentralized government of open markets and individual rights. The Iraqis have instead supported strong men and empires. Ginsberg said he did not buy that argument. He indicated that democracy is so important that our government might be obligated to bring it to every nation. Of course, this was President Bush's keystone argument! It is discouraging to see progressives become fuzzy over our imperialistic wars. The New York Times recently editorialized in support of Obama's expanding war in Afghanistan. Not long ago, almost every progressive leader and newspaper voiced harsh words for Bush's war in Iraq and Afghanistan. Now that Obama is in charge, that antiwar sentiment is changing. It appears that it is okay for a Democrat administration to engage in war, but not for a Republican one. As I have always said, we should always put "principles over party." We need to be consistent supporters of peace, not distracted by political pragmatism.